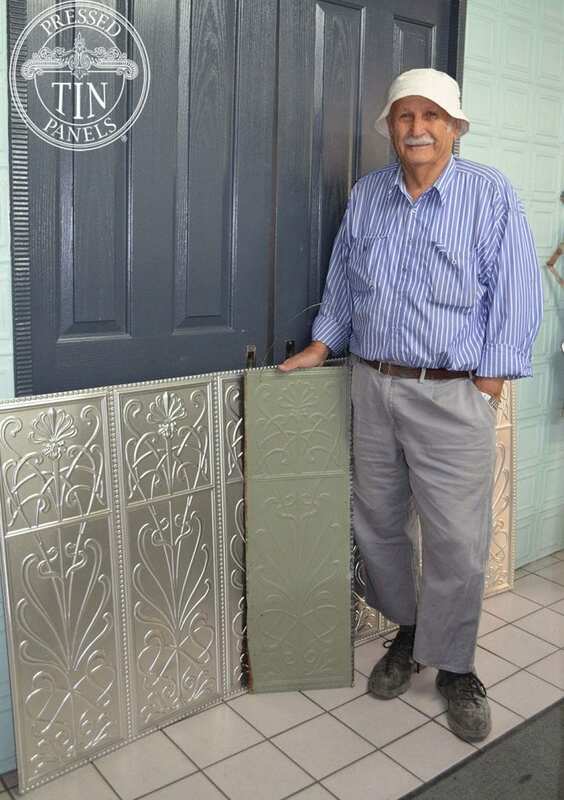 Bill made Racquel very happy one day when he just walked in the door with his pressed metal sample. ‘I had been looking for this pattern for years, so it was amazing when he walked through the door with this sample. The result is a new dado style panel that we called the ‘Wildflower’. Thank you Bill!